In the cavern-like darkness of the arcade, the neon phosphor-glow of the screen beckons you close. Drawn to the dancing pixels like a moth to a flame, digging deep in your pocket you pull out a shiny coin and thumb it into the slot as the electronic siren sings the fanfare that marks your arrival. One hand on the joystick, the other splayed across the control buttons, your pulse begins to quicken. Ready Player One Press Start You’ve barely begun but suddenly the discordant bleeps are trumpeting your failure as your 8-bit adventure comes to an abrupt end. At least in the world of the video arcade you get a second chance. But what is the true price you pay when you make a pact with the digital demon? There’s always another coin, an extra life to be earned, a second chance… Isn’t there? 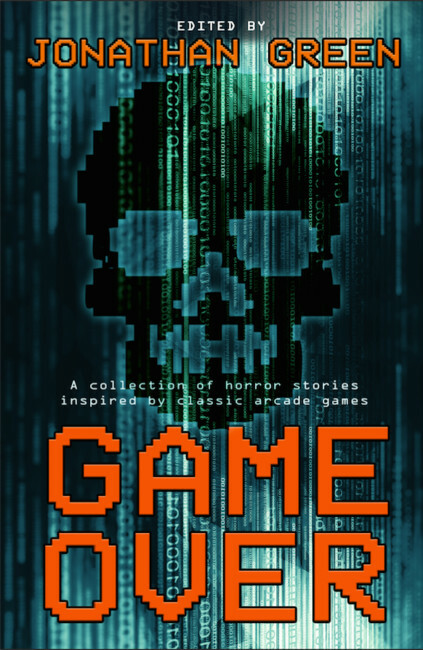 GAME OVER A dozen stories of creeping dread and savage horror inspired by the humble amusement arcade and the classic coin-ops of yesteryear. Twelve tales to chill your blood by twelve masters of the malevolent and the macabre. Just keep reminding yourself, it’s only a game… Isn’t it?